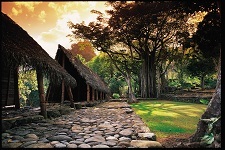 Nuku Hiva, the second largest island of French Polynesia is the economic and administration center of the Marquesas. 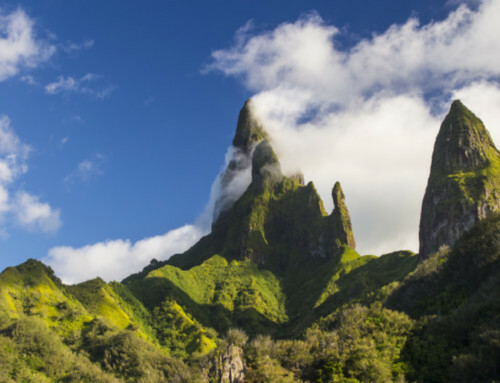 Nuku Hiva is described as a mystical island with an undeniable beauty. The domestic airport of the island is in Taiohae where the majority of the administrations of Nuku Hiva is located. In the North of the island is Hatiheu, the preferred bay of writer Louis Stevenson. At 300 meters high, a statue of the Virgin overlooks this majestic bay. Many shows are organized there for various occasions. An hours walk from the bay of Hatiheu is Anaho. Its white sand, its coconut trees, its cliffs and mountains views make it one of the most beautiful Polynesian bays. 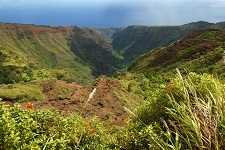 Nuku Hiva also has splendid valleys of which the most important and most fertile is located in Taipivai. Multiple legends were written with this extraordinary valley as a background. Various magnificent waterfalls are to be discovered in this valley which represents one of the most beautiful archaeological sites of Nuku Hiva. 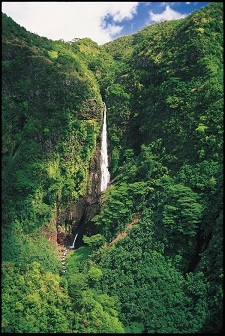 The waterfall of Hakaui is extraordinary! It is the third largest waterfall in the world because its 350 meters high. Surrounded by cliffs where various species of birds nest, it’s worth a trip to see this waterfall. The relics of this island are numerous and different excursions allow them to be discovered: Tohua (place of old Marquisian songs and dances), Paepae (incredible platforms), Tiki, Mea’e, etc. The discovery of these splendid sites is offered by local service providers who are happy to share their ancestral knowledge. There are several circuits which can be done by boat, 4×4, on foot, or on horse. Scuba diving is ideal for the exploration of the caves, cavities and outer slopes – it will take your breath away. A marvellous marine fauna made up of large dolphins, hammerhead and great white sharks, manta, leopard, sting or marble rays which are simply surprising. From Tahiti, you will be able to reach Nuku Hiva by plane or by boat thanks to various cruises like those provided by the company Aranui. 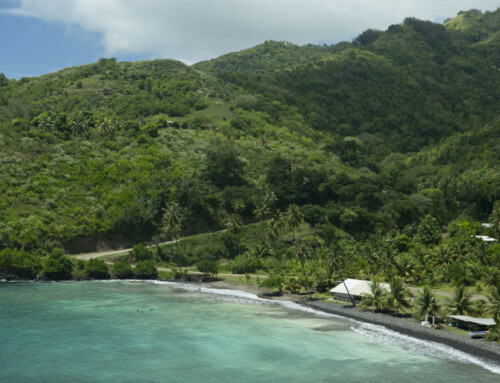 The splendid Keikaha Nui Pearl Lodge hotel, perched in the heights of Nuku Hiva, and charming family hotels offer warm welcomes.